Scenario 1: Your salon/spa is growing, but at a snail’s pace. Most service providers are hitting or exceeding their critical numbers. (Productivity rate, client retention rates, prebook, frequency of visit, number of first-time clients, retail, etc.) Cash flow is tight. They’re wondering where their reward is. You’re wondering the same thing yourself. Scenario 2: You set and communicate critical numbers for your new talent and rising stars. Because they’re new or developing, you set their critical numbers to reflect minimum expectations. Like in Scenario 1, growth is slow and cash flow is tight. Set critical number expectations based on an individual’s level of experience and performance. Newbies have low critical number expectations. Top “producers” have high critical number expectations. Everyone else is placed accordingly between the low and high levels. From an experienced viewpoint, this makes a lot of sense — but it fails to establish where each critical number must be to grow your company. 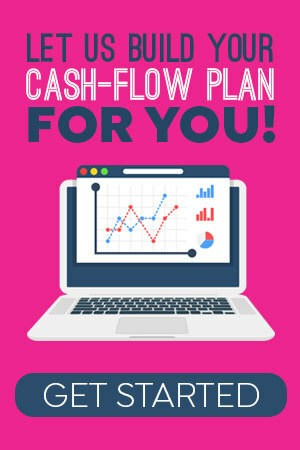 If you take your company’s current service and retail sales and match them against your current critical numbers, you can then test various revenue projections based on simple changes to each critical number. THE MASSIVE FLAW: In the two scenarios above, owners set critical numbers on levels of experience — not what the company needs to sustain itself and grow. If your salon/spa needs to maintain a productivity rate of 80%, why are some employee’s productivity rates set at half of that? Are you fine paying employees to sit around 60% of time? If your salon/spa needs to maintain a first-time client retention rate of 50%, why are some employee’s first-time client retention rates set at 35%? Are you fine if 65% of the first-time clients they service never return? If your salon/spa needs to maintain a prebook rate of 70%, why are some employee’s prebook rates set at half that? Are you fine if 65% of the clients they service leave without a future appointment.? I can keep going, but I think you get my point. Minimal expectations inspire average: I understand that it takes time to develop and grow new talent. But setting new talent critical numbers to reflect minimal expectations is going to cost you long term. Setting the bar low does little to motivate and create urgency to learn and grow. Charging lower prices for new talent compromises revenue and profits even further. Both place the burden of sustaining the business on the more experienced employees. 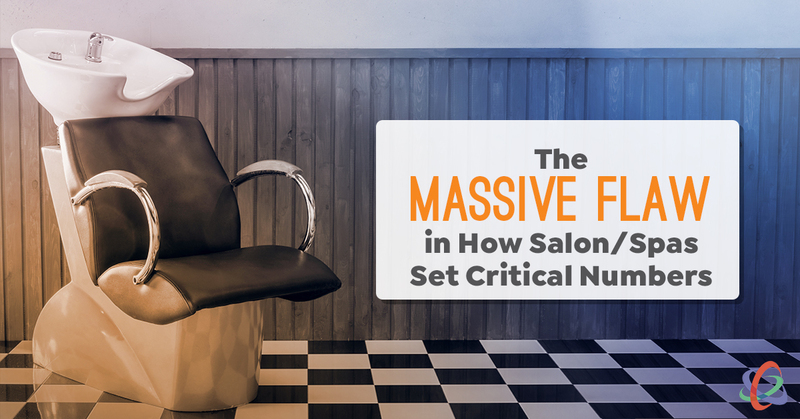 KEY: Your salon/spa brand demands a certain level of expertise and performance. Train hard and fast for excellence. Got it? Measure against what the company needs to grow: Every employee should be evaluated against the critical numbers that the company requires in order to grow. Setting minimal critical number expectations for individuals or groups of service providers, is like grading students on a curve. You’ll never achieve an A performance by disguising a C as an A. KEY: If your company needs an 80% productivity rate to grow and create profit, EVERYONE works to achieve that 80%. If a 70%+ prebook fills future appointments and drives client retention, then EVERYONE works to achieve 70% prebook. Got it? Critical numbers are driven by systems: You need to pay attention to this one. Critical numbers, especially productivity, first and existing client retention, prebook, frequency of visit and retail sales, all represent the performance and the systems that drive them. So, if your systems are dialed in and working, shouldn’t your critical numbers be more consistent across all skill levels? For example, if every service provider learns and follows your prebook system and properly advises clients to schedule maintenance appointments — and front desk staff receives and executes prebooking — your company’s prebook rates should remain consistently high. The same goes for client retention, productivity, frequency of visit, retail and others. KEY: Stop trying to manage critical numbers for individuals or groups of individuals based on skill and experience. The key to achieving critical numbers capable of growing your company and profit is your ability to implement and effectively manage systems. Here’s my challenge to you: Why communicate expectations that cannot and will not grow your company? That’s exactly what progressive level systems do. The top levels are over-burdened because the bottom few levels are under performing because the minimal expectations were set too low and never connected to what the company needs to grow. What I presented here may seem like a radical departure from conventional salon/spa business thinking. It’s not. What it reveals is the massive flaw inherent in conventional thinking. FACT: Each and ever critical number must be set to grow the company so all employees can grow. This is EXACTLY what has been going on for years in our business. I’m so pumped to get real growth at ANB!!!! !